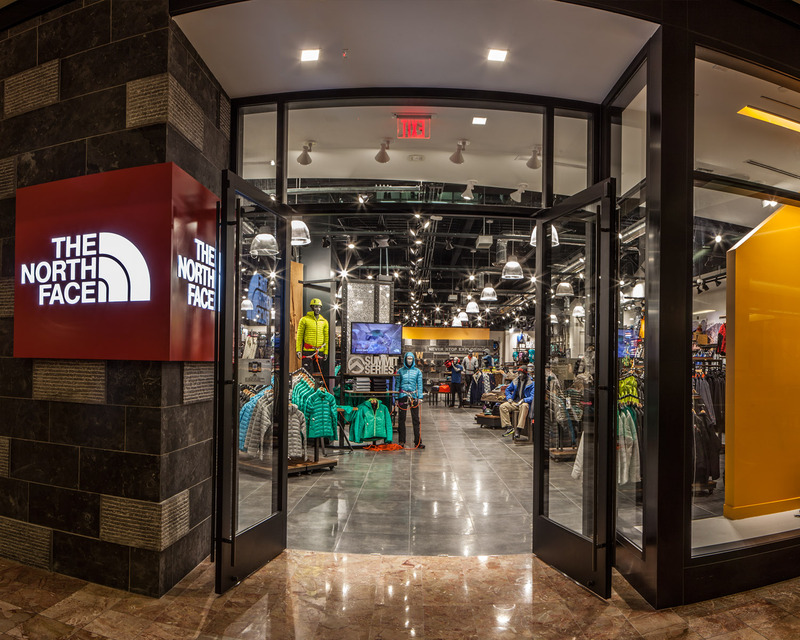 To celebrate the brand’s commitment to exploration through the creation of a new design standard in outdoor retailing, The North Face store features innovative fixturing, architectural environment and provocative communication. The bold use of The North Face branding vocabulary and its highly recognizable logo immediately create a sense of energy, dominance and authority to the entering consumer. Landscape scale photography gathered through the company sponsored field explorations shows the customer the athlete’s point of view at the top of the mountain in a very immersive way. This highly site focused “collection” creates a retail presence through the use of proprietary and highly identifiable branding components, making each location unique and highly synergistic in the ways in which it brings the brand to life.